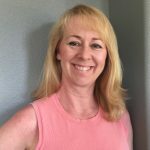 Darcy Carney, CPA — founder and owner of Carney Consulting Group — is a Certified Public Accountant and Certified QuickBooks ProAdvisor. She offers bookkeeping services, QuickBooks training and support, tax preparation, as well as planning and budgeting. Work For Carney Consulting Group? Claim This Page.